On Sunday Attorney General Bill Barr released a four page report summarizing the findings of Robert Mueller's Special Counsel investigation into the 2016 presidential election. On Friday afternoon, the Special Counsel announced no additional indictments in the investigation would be made, indicating the report would be favorable to President Trump. Over the past two days, President Trump's response to the findings of no collusion or obstruction of justice has been tempered. "After a long look, after a long investigation, after so many people have been so badly hurt, after not looking at the other side, a lot of bad things happened, a lot of horrible things happened, for our country, it was just announced there was no collusion with Russia. The most ridiculous thing I've ever heard. 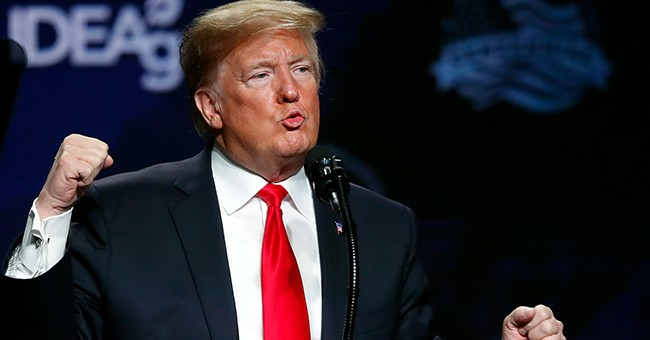 There was no collusion with Russia," Trump told reporters from Florida Sunday before returning to Washington D.C. "There was no obstruction, none whatsoever. And it was a complete and total exoneration. It's a shame that our country had to go through this. To be honest, it's a shame that your president has had to go through this. Before I even got elected it began. It began illegally and hopefully somebody's going to look at the other side. This was an illegal take down that failed." But Tuesday morning, he gave the media what they deserve. Like the 2016 presidential election, the mainstream media got this story wrong and tore the country apart for two years. Not surprisingly, they're doubling down instead of apologizing or reflecting.